FAIR USE POLICY: Note on audio files: As with other content on this site, a fair use policy applies. 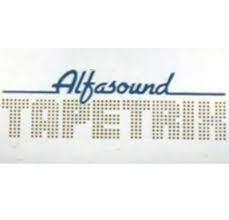 Use may be made of the material provided that the following conditions are met: a) it shall not be distributed or used in any profit-making enterprise; and b) credit must be given to the EclectikTronik Found Tape Archive. The downloading or usage of the material assumes acceptance of these conditions . 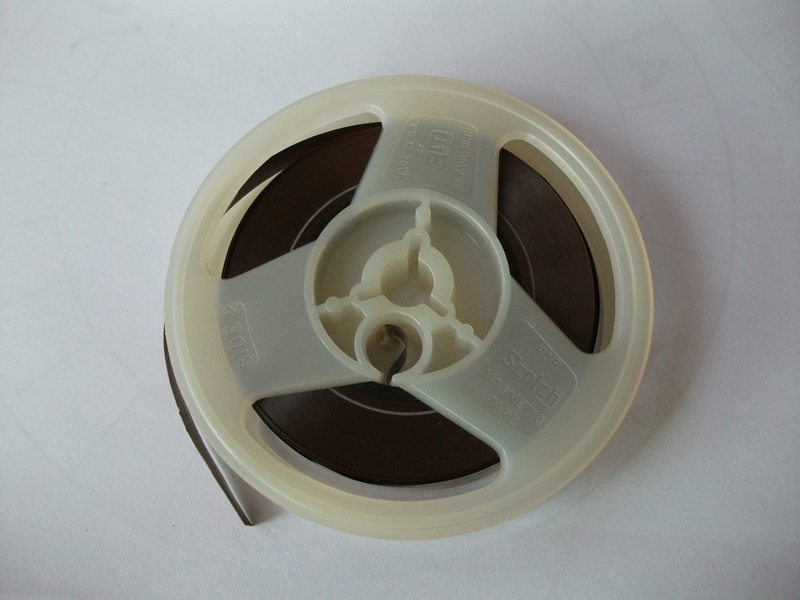 Format: Quarter inch open reel, half track mono, speed 3.75 ips. 88r001b. 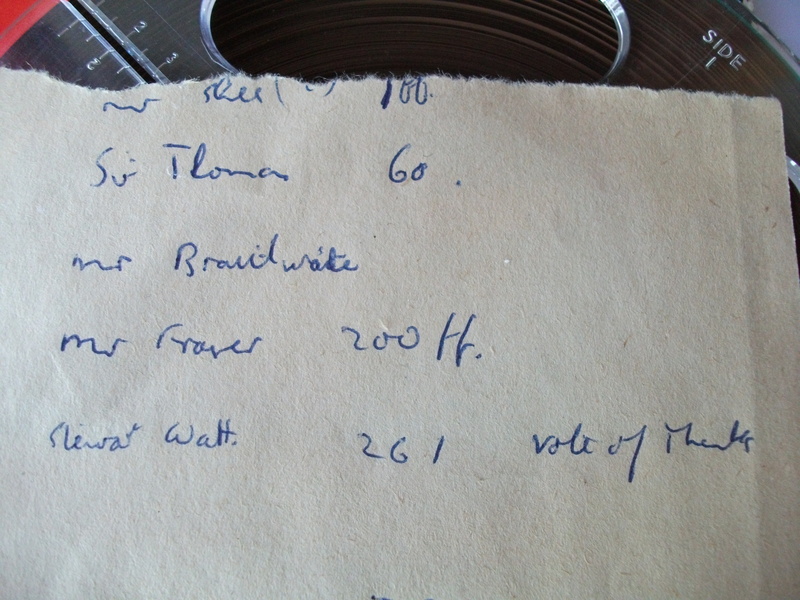 Found: Attic sale, West Kirby, Feb. 1988. 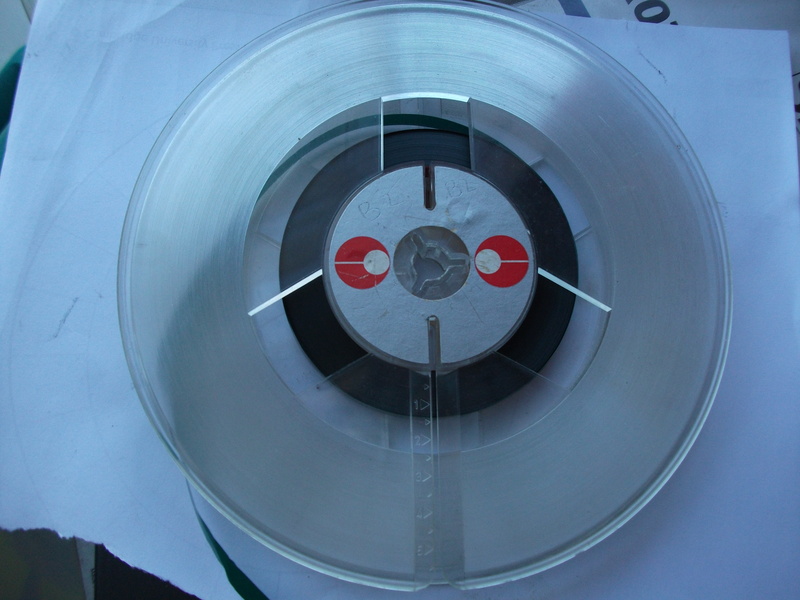 Format: Quarter inch open reel, half track mono, speed 1 7/8 i.p.s. 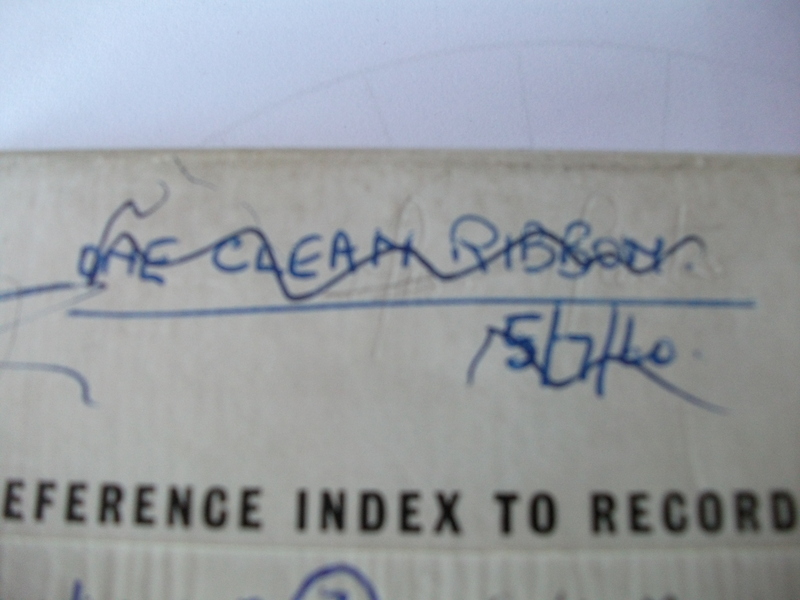 Estimated date of recordings: 1967. Duration of recordings: 40 mins. 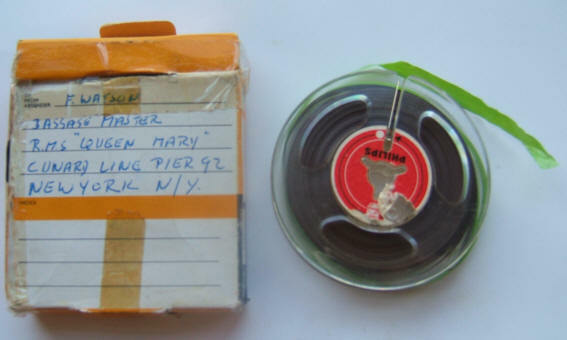 A series of ‘field recordings’ , taped letter (interspersed with music from records and radio) made by Frank on the Cunard Liner. Since the ship was retired from service in 1967, it is probable that this was its final voyage. 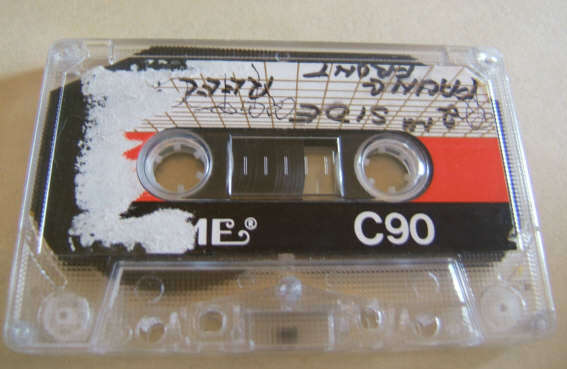 The tape starts with what seems to be some friendly baiting of an older or slightly worse for wear colleague, the father of the tape’s recipient (LISTEN: http://www.mediafire.com/listen/dsa2f5311c8z51f/88R001B+EXTRACT+OUTINBOAT.mp3) Later content includes recordings made with the ship en route for New York albeit with in staff, and a farewell and a few messages from other crew. 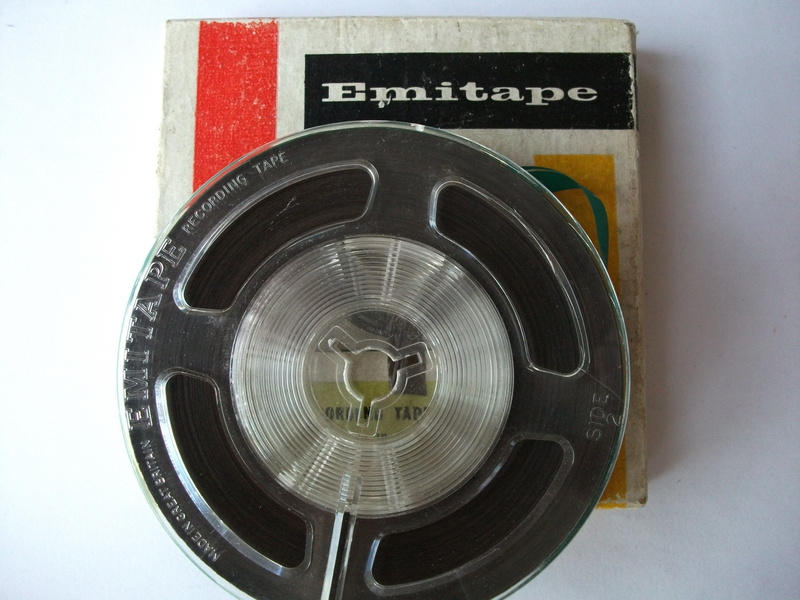 There are three further spoken letter type tapes seemingly made by Mr Watson. 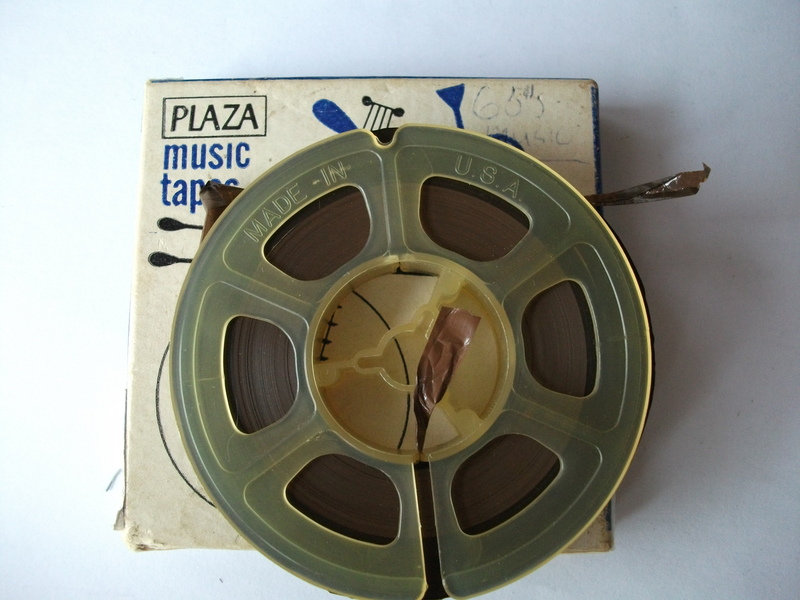 format: quarter track mono. 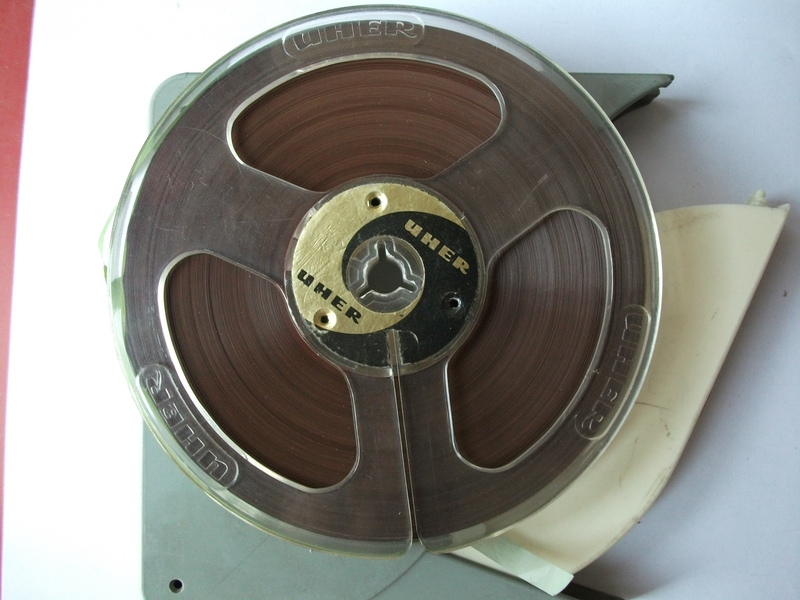 speed 3.75ips 5″ reel. Found: mid 1988, wallasey. Content: unknown singer /guitar accompaniment. 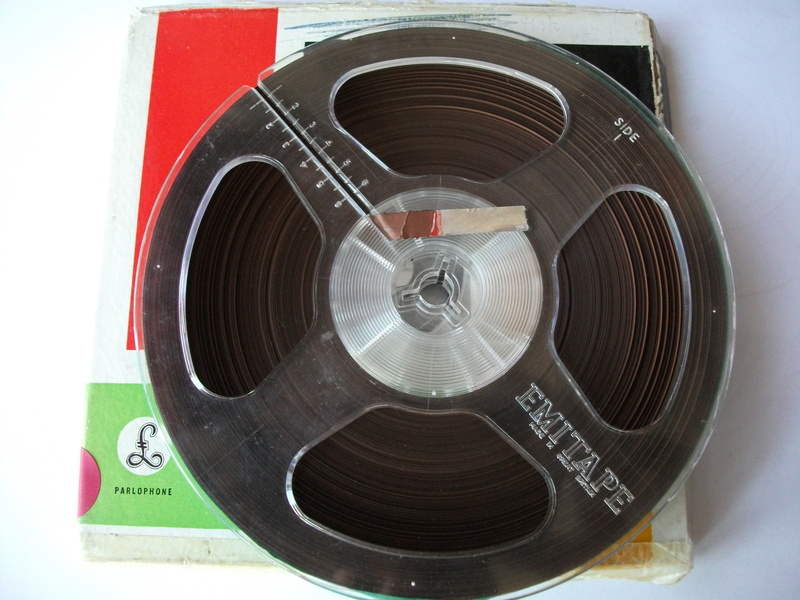 Possible song titles: Standing on the Outside of a Circle (listen: http://www.mediafire.com/listen/dhvk93v950o44b2/88r002_web_philomena.mp3) ; Untitled instrumental (LISTEN : http://www.mediafire.com/listen/c307wit7matt7q8/88r002_web_untitled_instr.mp3 ); I Have Looked Upon a Land (Influences clearly Fleetwood mac, Donovan. LISTEN: http://www.mediafire.com/listen/3z3oq162nxnh0n2/88r002_web_i_have_looked.mp3 ) Selection ends with instrumental cover of Blackbird (Lennon /McCartney). 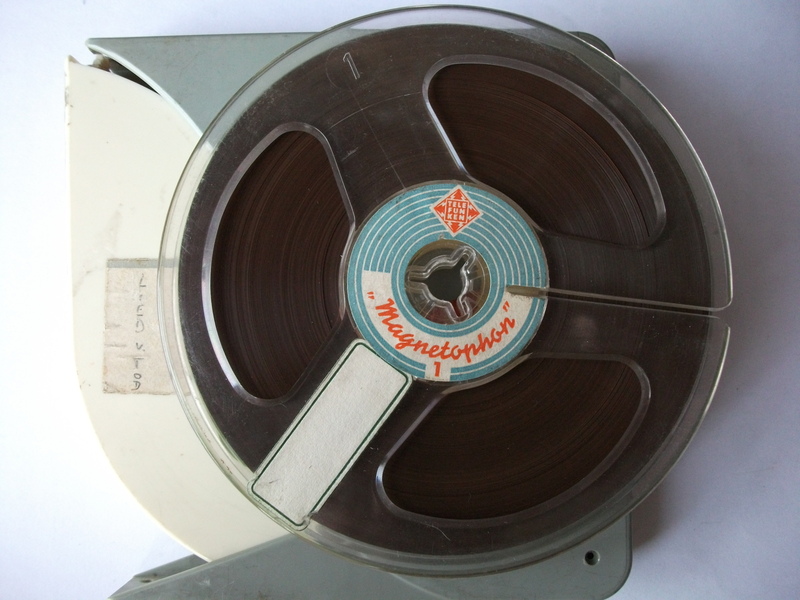 Format: half track mono 3.75 ips. 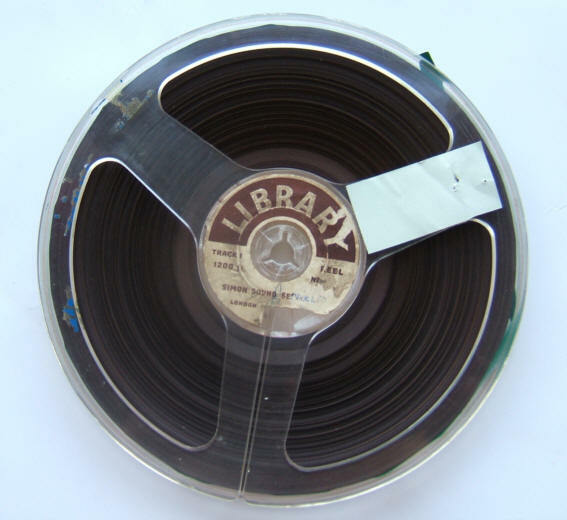 NOTE: In mid 1990, a few dozen tapes from a defunct language laboratory were added to the archive – see Language Lab sounds page. 90r001. Found: Tuebrook saturday fleamarket, Liverpool, late 1990. 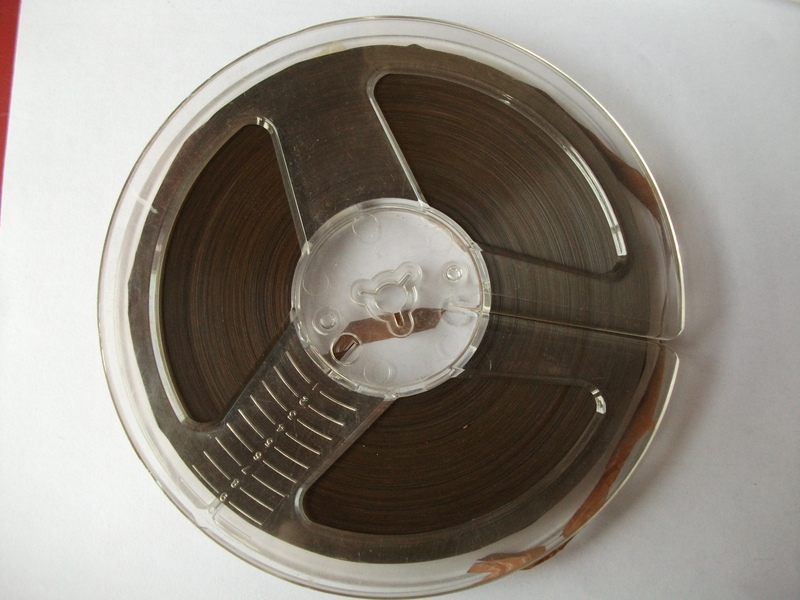 FORMAT: quarter inch open reel, half track mono, 3.75 ips. found : Irby (Wirral) jumble sale 1990. 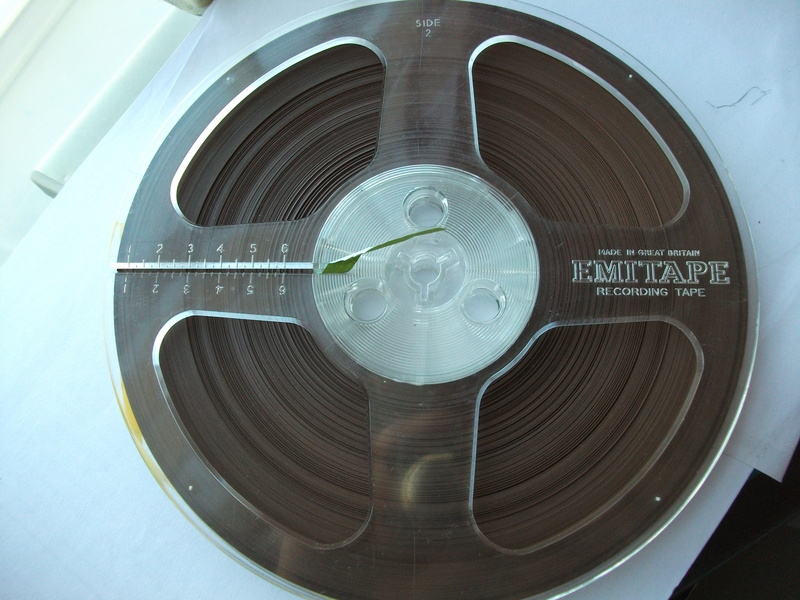 Format: half track mono, 3.75 ips. 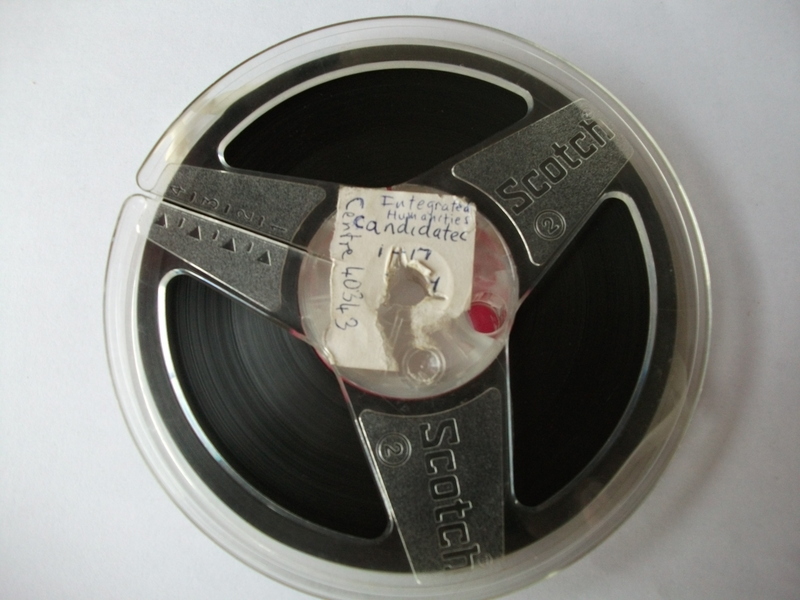 NOTE: In January 1991, a few dozen tapes from a defunct language laboratory were added to the archive – see Language Lab sounds page. 92r001a. This tape bears no relation to the others in the lot. Found: Car boot sale, Leasowe, Wirral, 1991/1992 on a SANYO MR101 battery operated recorder. 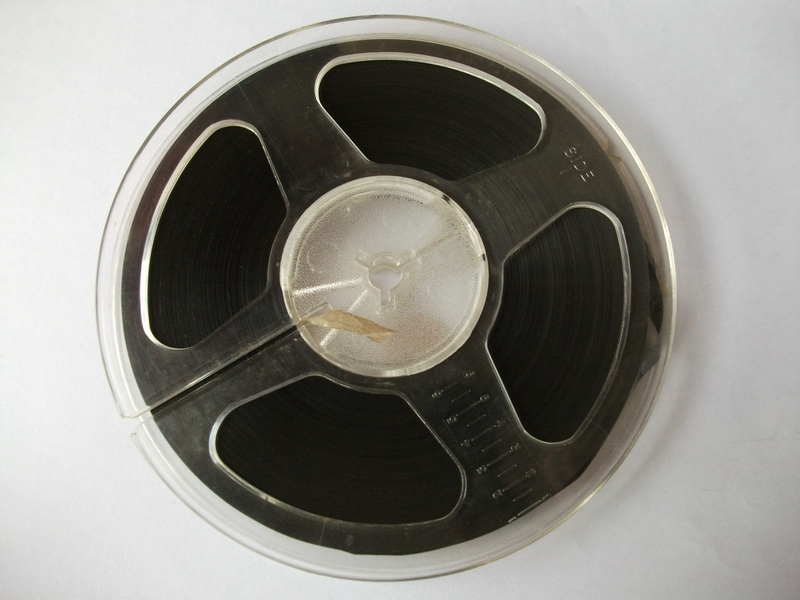 Format: Quarter inch open reel, half track mono, speed 3.75 ips. 92r001b. 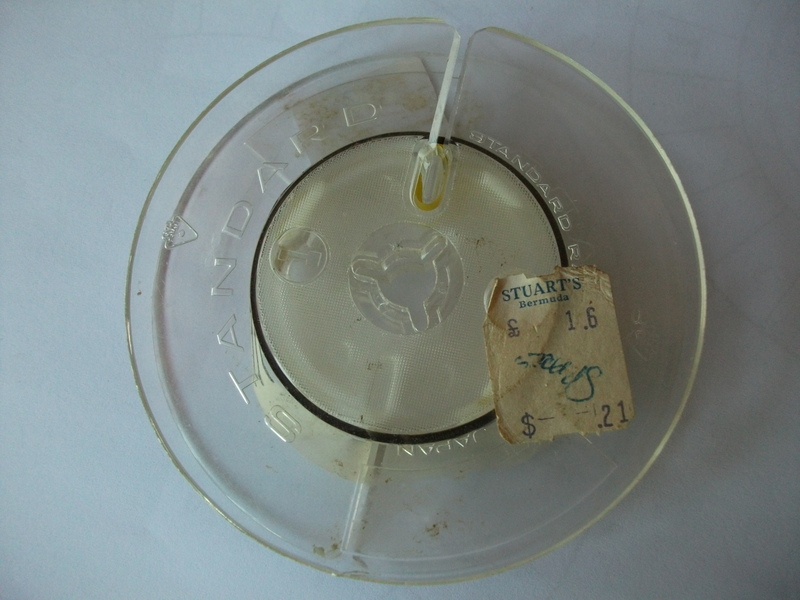 Format: quarter inch open reel, speed 1 . 7/8ips, half track mono. 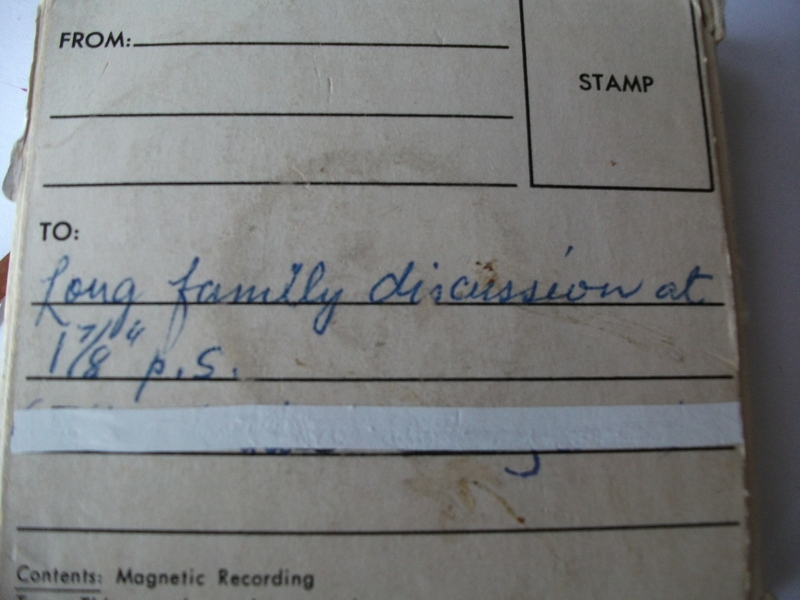 Labelled as ‘Long family discussion’. 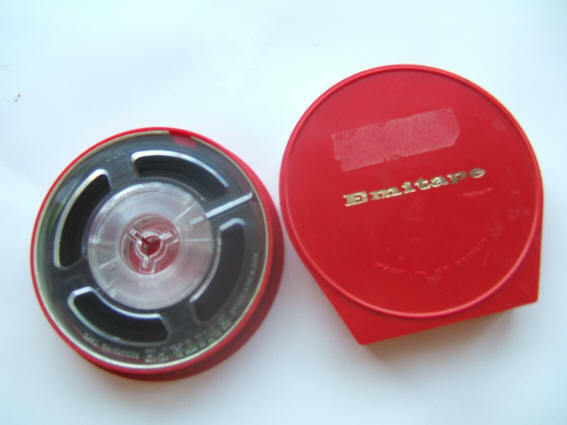 Topics include ‘congratulations on your Sanyo recorder’, Officer cadet pay, dowry (http://www.mediafire.com/listen/9gnjemd2upia7lx/92R001B_-_long_family3_dowry.mp3 ), marriage and money, and a home made easy listening radio style show. 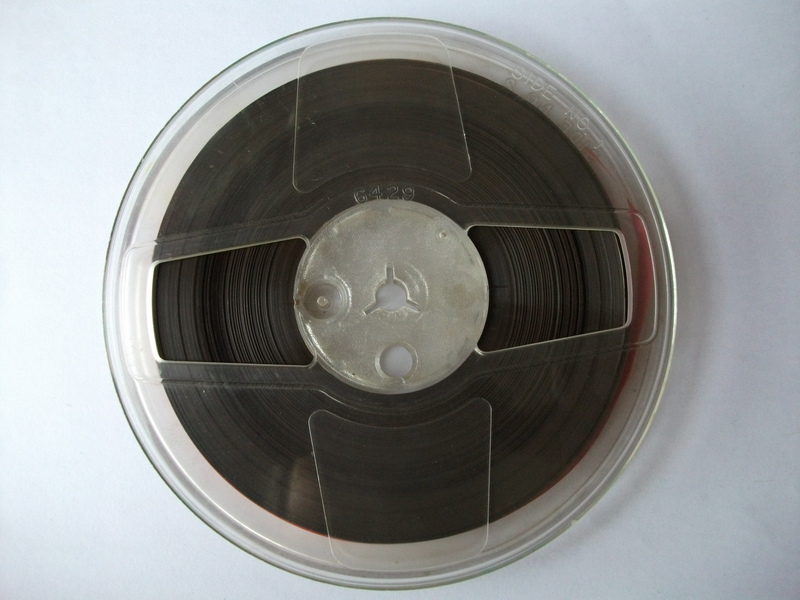 Format: quarter inch open reel, speed 3.75ips, half and quarter track mono. 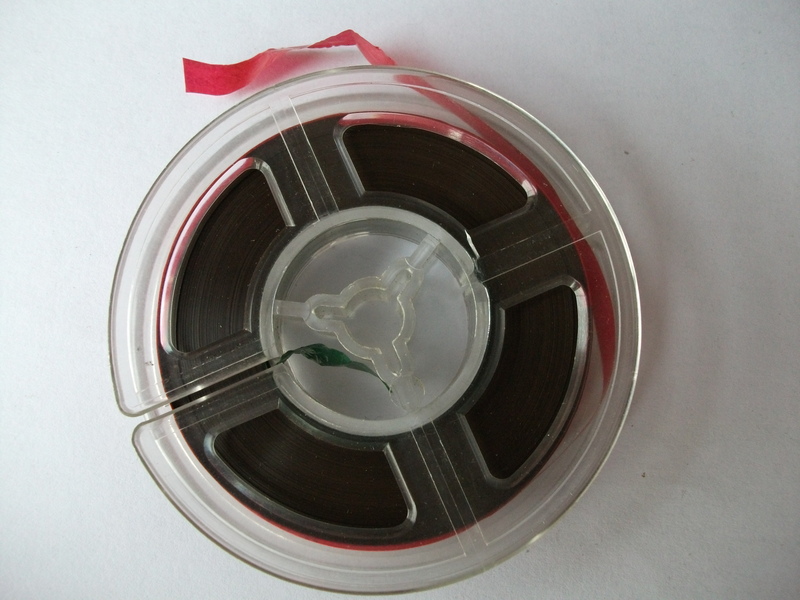 This 3 inch spool of tape contains a whole series of messages. 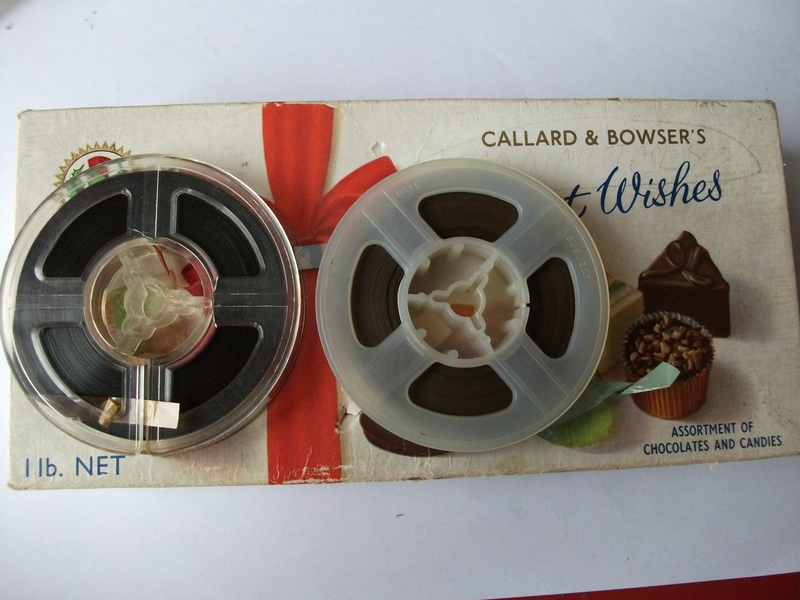 First is a Dec. 1962 message from Frank and family in the USA to Uncle James and Auntie Jean in Scotland (http://www.mediafire.com/listen/wcjjn5kqk3j0lvs/93r001a__s1t2_recoveredFIRST.mp3 ). James records a message back to them, and also Uncle Mike and Annie, Catherine (whom he has not seen in 50 years) and Cookie. The speech is interspersed with a few Scottish tunes he plays on the piano, to Frank, Robin, Ann and little Peter in the USA ( http://www.mediafire.com/listen/bji9axw36pyxb06/93r001a_s1t1SECOND.mp3 ). We learn that Aunt Winnifred is bettter, Patricia is preparing for a wedding, John, Jim and Morah, Aunt Annie (next door), Joe and Annette all get mentioned. 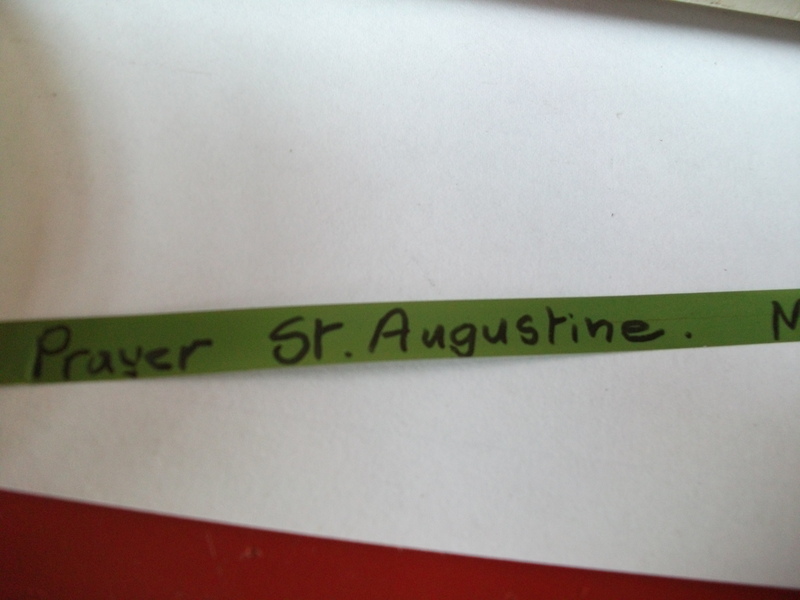 We also hear about the saga of Father Maher, local curate and keeper of the tape spools, and a lost microphone. 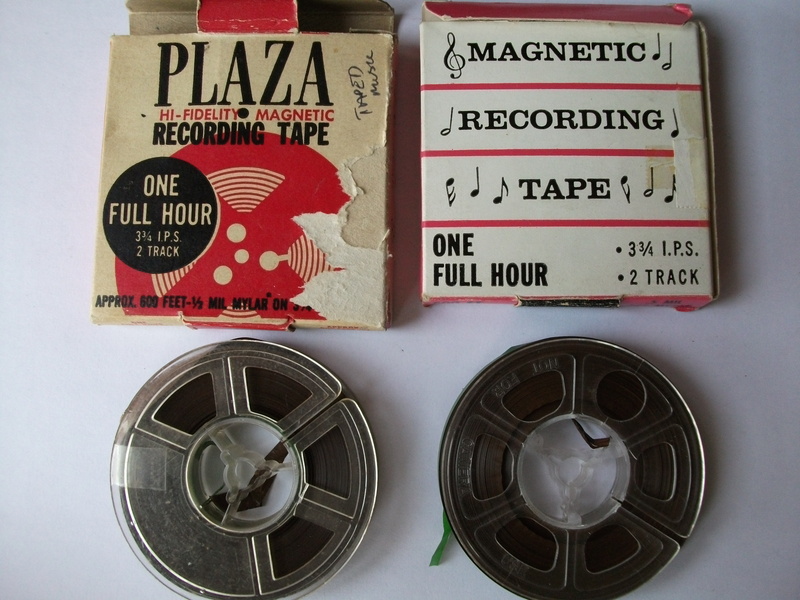 Strong church connections are evident in this tape, as they are in several other tapes (radio broadcasts mostly) found in the same lot. 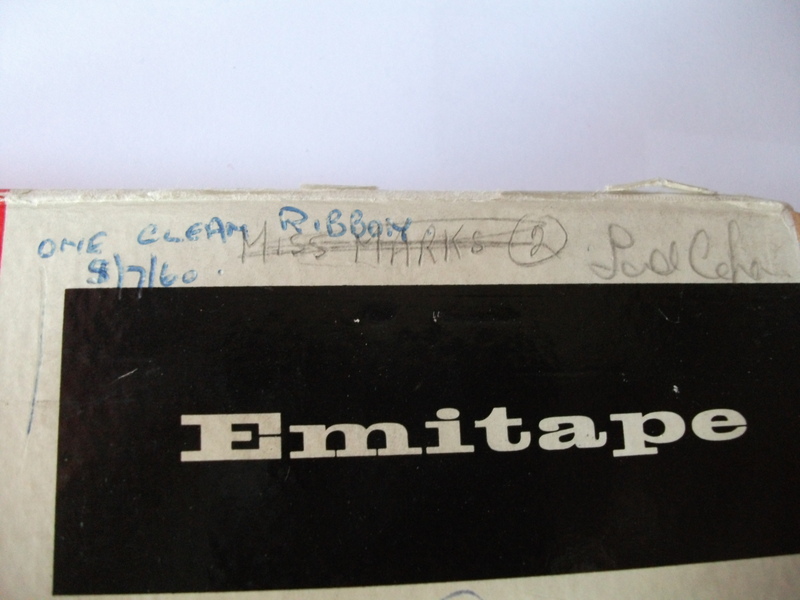 We learn that Laurence and Kitty Gilmour are visiting and this tape was to return with them to NYC to be passed on. How it ended up back in the UK is a mystery and begs the question : Did it ever reach its intended recipients? 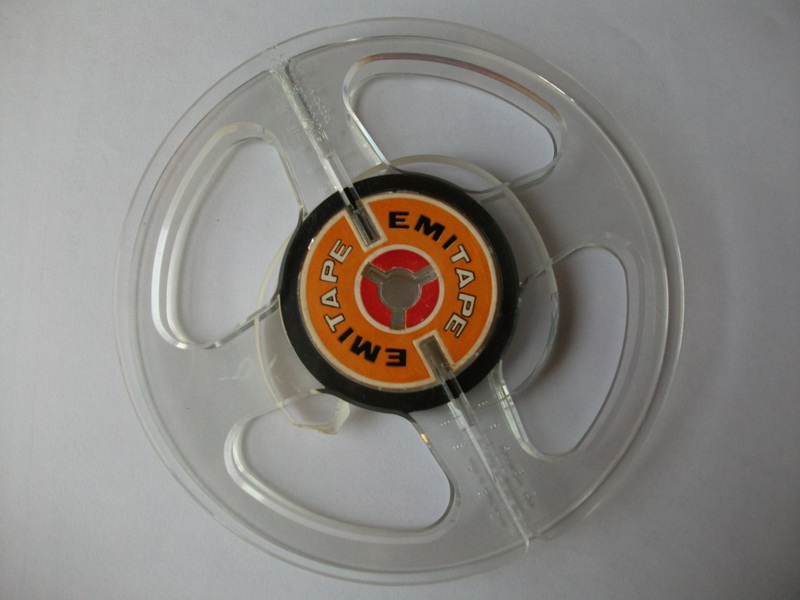 Recovery of this tape was complicated. 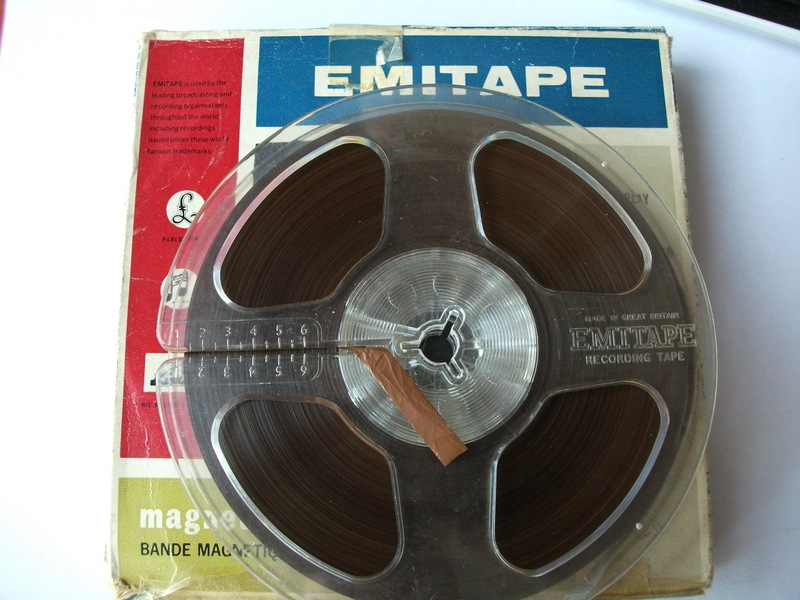 The original message was recorded on a half track mono recorder. 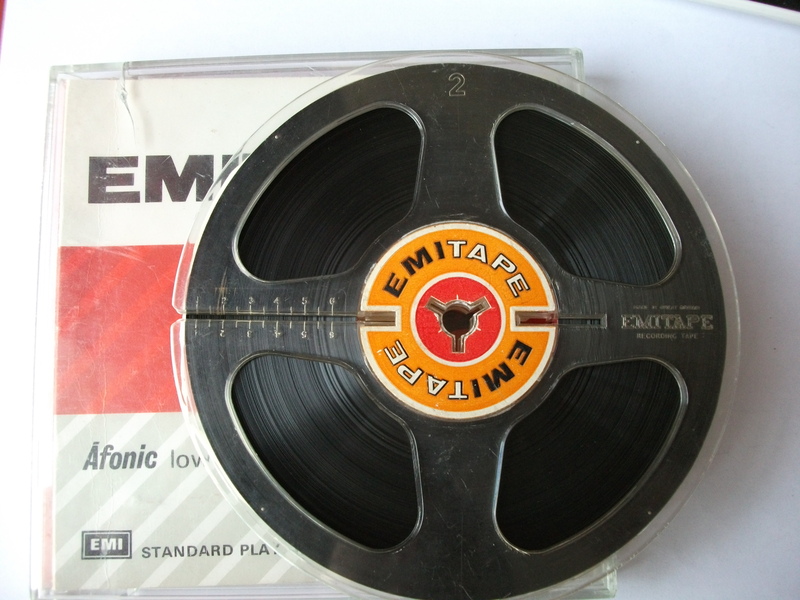 The response was recorded over the same tape but on a quarter track machine, across three of the four available tracks. 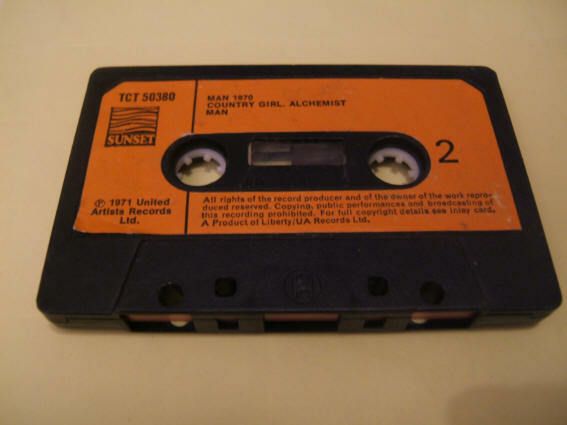 The original message was not fully over-recorded and was recovered by playing the fourth track, side two of the tape, on a quarter track machine. 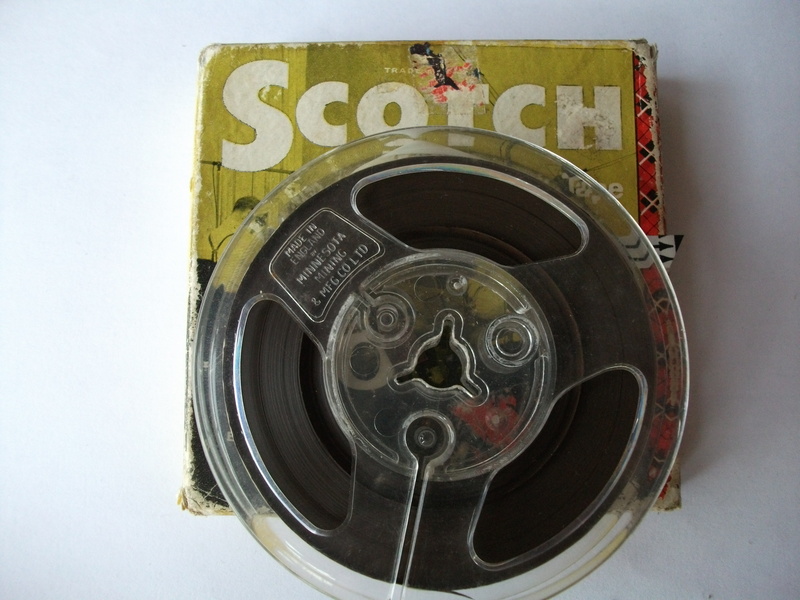 The resulting backwards audio was digitized, edited and reversed. 93R003 Found: Wirral, 1993. 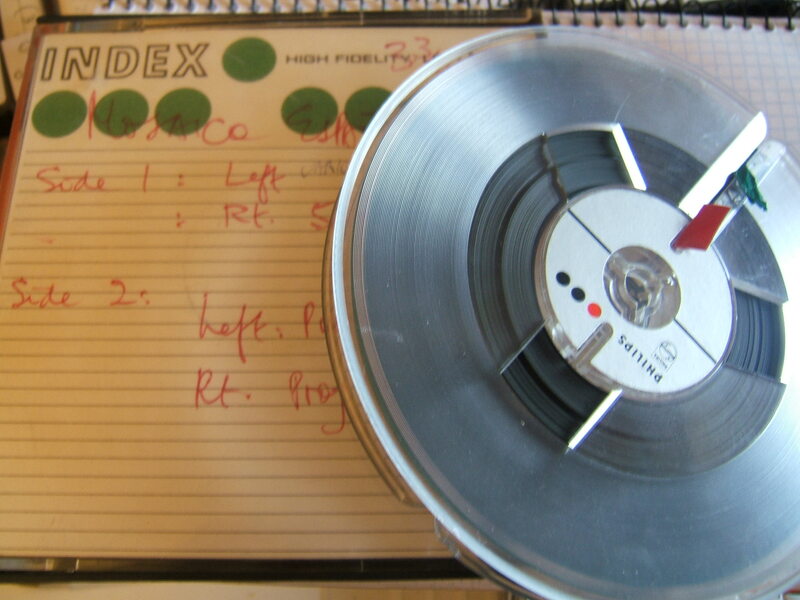 Format: quarter track mono, speed 3.75ips. 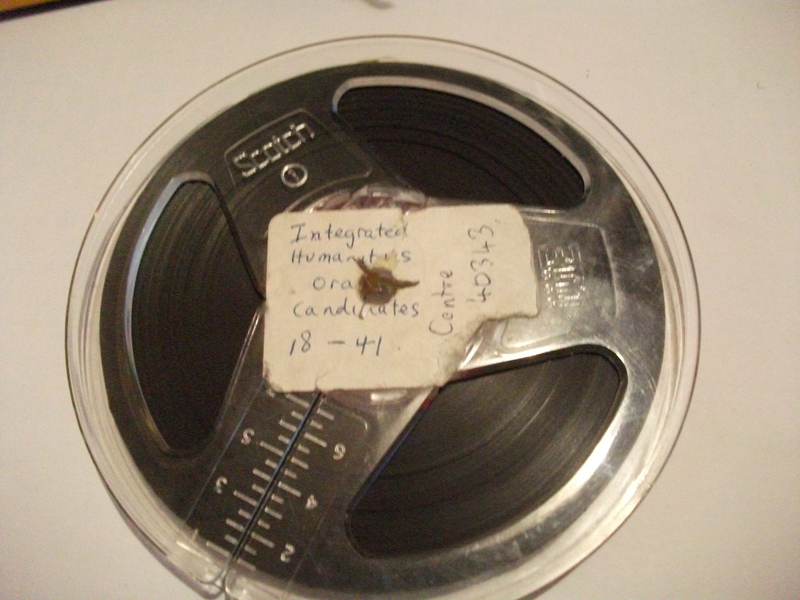 Date of recording: 9 march 1961 (spoken on tape). 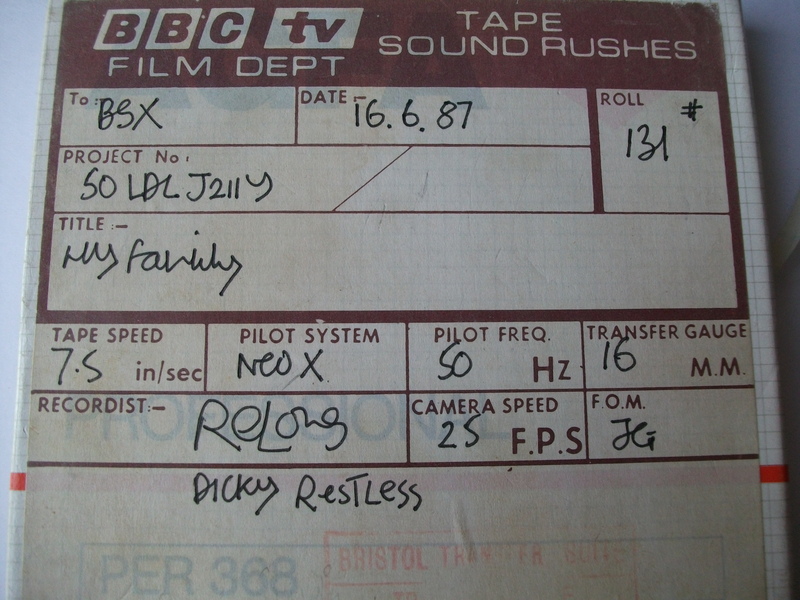 Recordings show a family trying out their new ‘Fidelity playmaster’ recorder (http://www.mediafire.com/listen/2dqgh2vz6pjj4yb/93R003__instr.mp3 ). The children say a few rhymes (http://www.mediafire.com/listen/uy7b3lce8lde0oy/93R003__nurs_rhy.mp3 ). Second side has the family playing some parlour games. 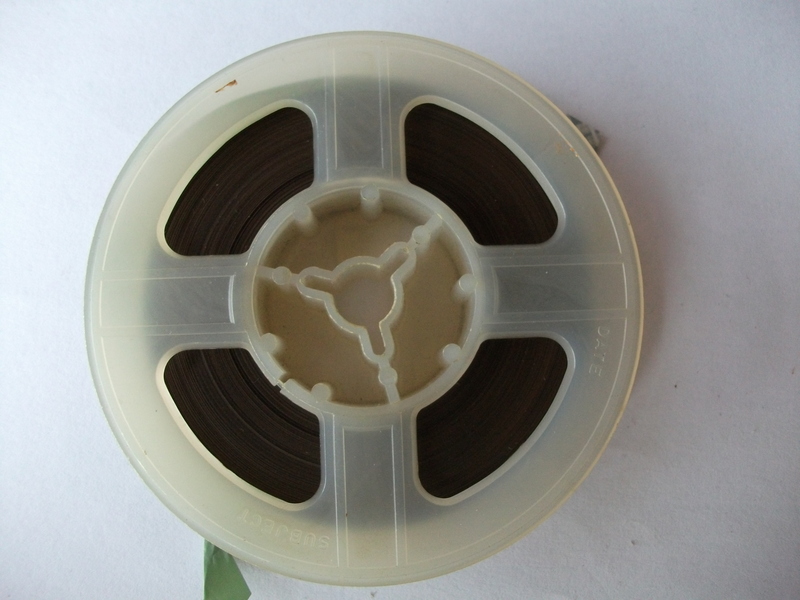 Format: 5 inch reel, speed 7.5 ips, half track mono. 96r001a. Gefunden: Fleamarket, Frankfurt-am-Main, Dezember 1996. 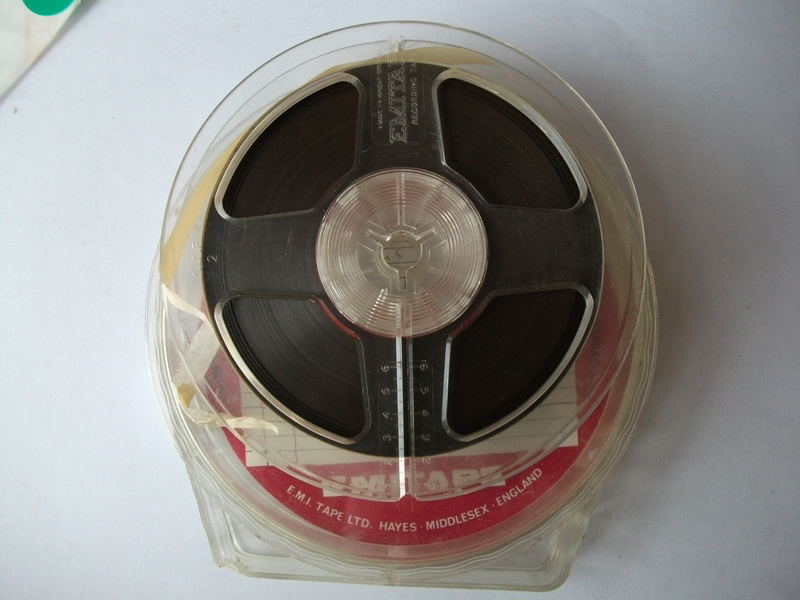 Spule 13 cm, vierspur , Stereo, 19 cm/s. Aufnahmedauer: 25 min. Einhalt: Singen mit gitarre. Schalger und volksmuzik (http://www.mediafire.com/listen/d8c5dypdipwdwus/96R001A_germans_4_satisfaction.mp3 ); dann ‘Anglo hits’ (http://www.mediafire.com/listen/d8c5dypdipwdwus/96R001A_germans_4_satisfaction.mp3 ). 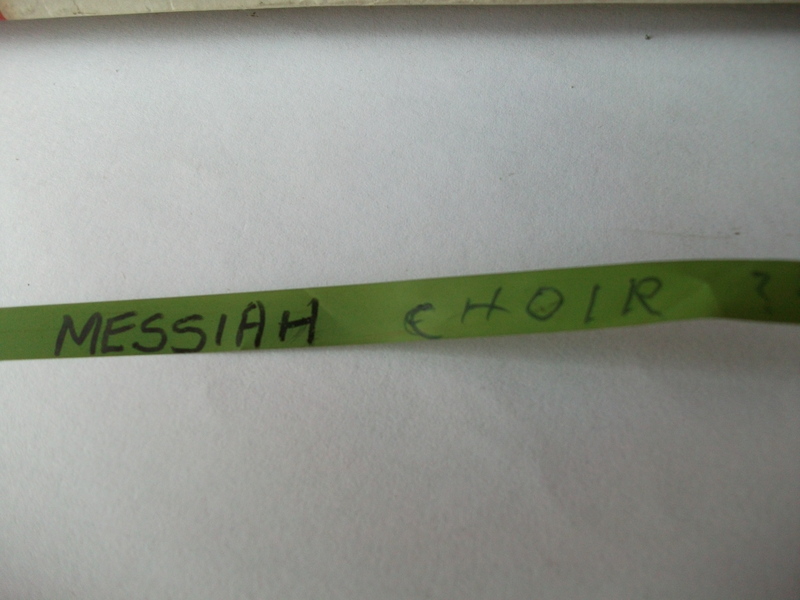 found: Leicester, 1998. 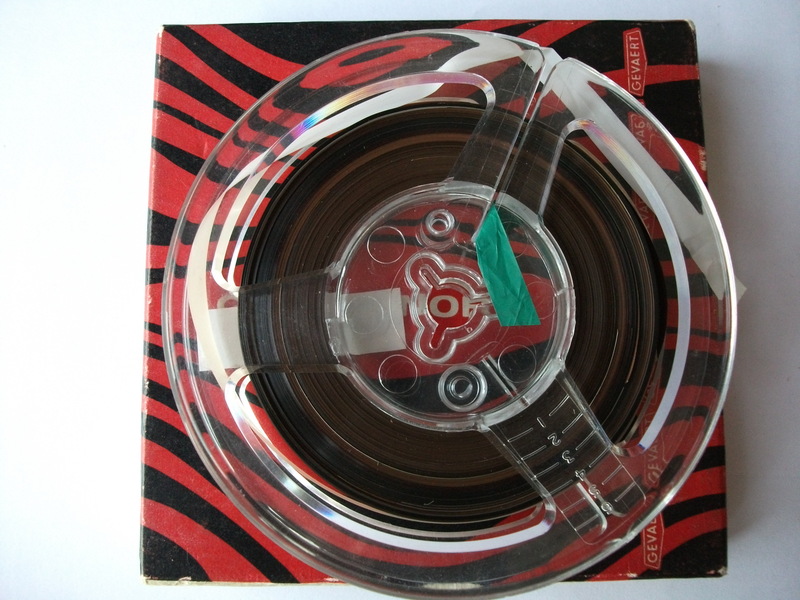 Tape format: quarter track mono 3.75 ips. 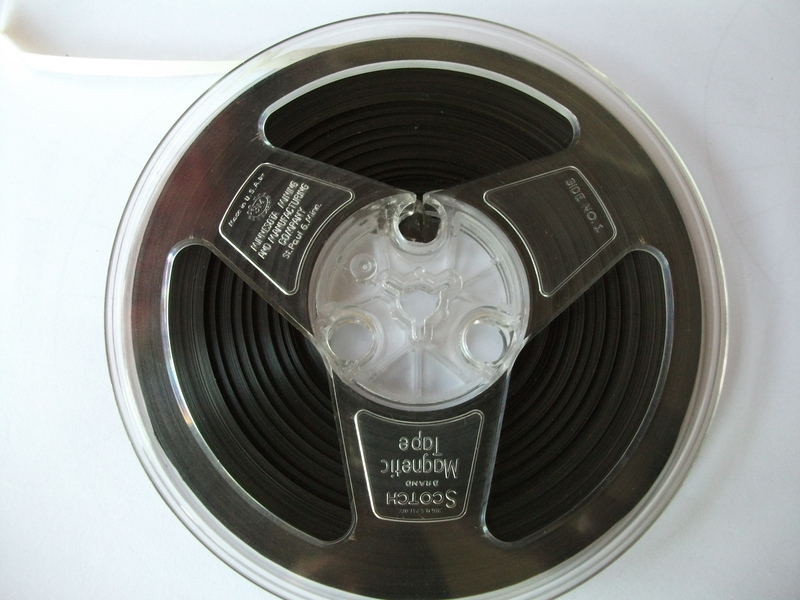 15cm spool. Content: male voice reading report about 1967 Torrey canyon oil spill. 87c001. Found: early 1987, Liverpool. from an‘unofficial’ car boot sale on the Dock Road, one of several held on bombsites around the perimiter of the city. 92c001. Found: Wirral car boot sale, 1992. 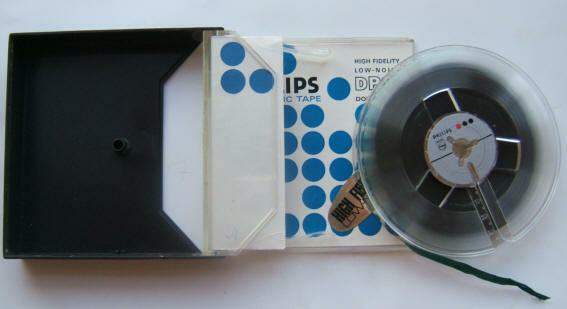 Content: ‘Gradual Descent’ demo tape. 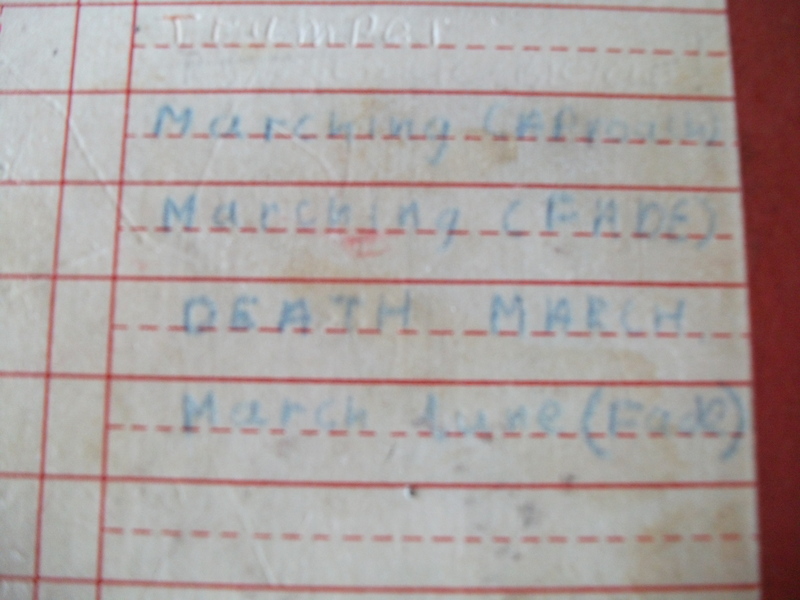 Date of recording approx. 1986. Group lineup appears to be: Gary, Wayne, Craig, Andy and ‘Doctor’). Found: Car boot sale, Leasowe, Wirral, UK, 1999. 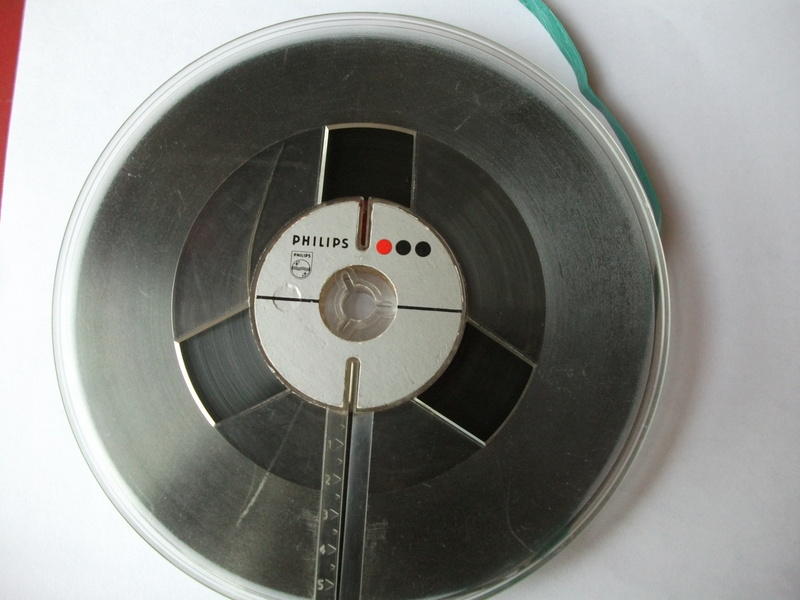 Harold lives in New Zealand and, with help from his wife Maggie, records a tape to Bill and Vera back in the UK. We learn that his health is somewhat poor and he voices his frustration about not being able to do things he used to. 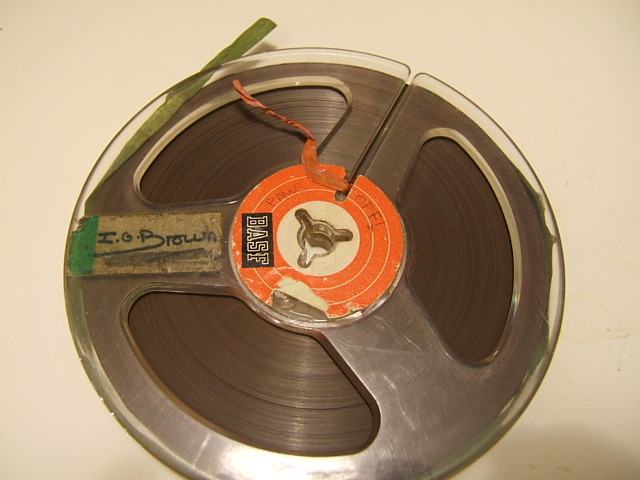 Several sections are recorded at 5 a.m., as a result of the speaker’s difficulty in sleeping. There is some talk of football scores, daily routines, childrens’ sporting achievements, (interrupted for a minute or two by some spoken French by an unknown younger Merseyside speaker). 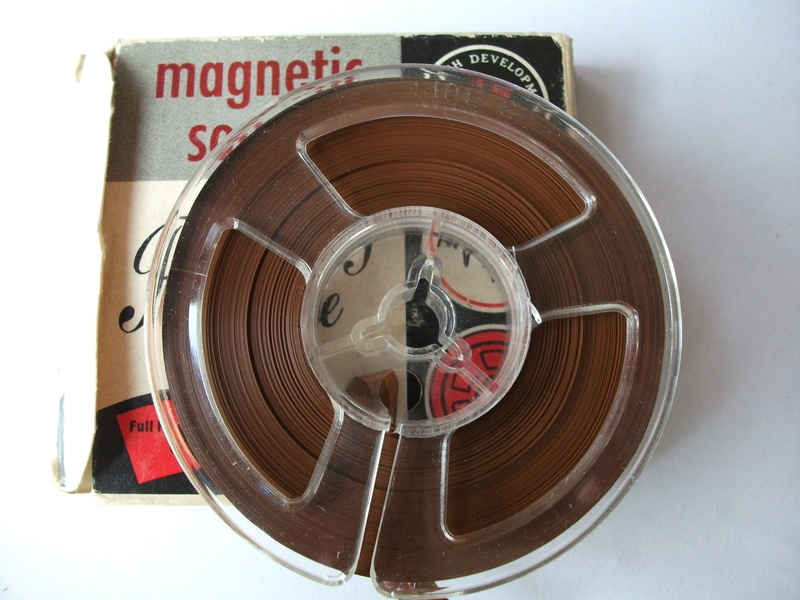 A few clues as to the date of the recording are offered after Maggie describes seeing the ITN News by satellite, mentioning the US elections with only 35% turnout ‘We had 85% and they said it was low!’), some ‘Gulf news’ and troubles in India and Russia. Gratitude is expressed for the ‘Come dancing and QE2’ videos. 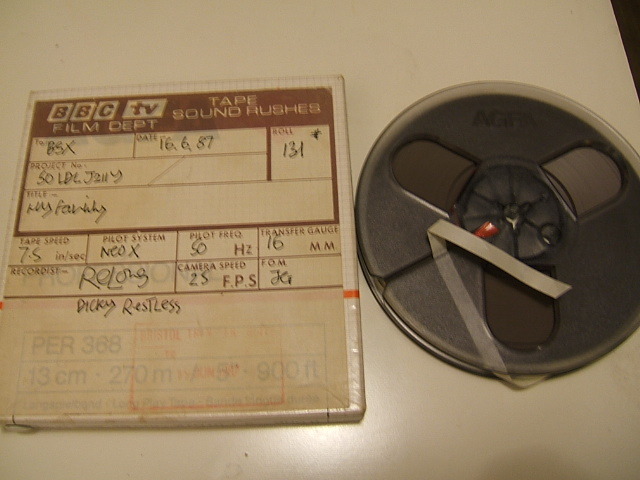 A segment is recorded by a speaker who appears to be Bill and Vera’s son John, who has been working on a farm, a vineyard and travelling for several months in the area. He mentions having telephoned them the day before, sending letters, videos, postcards and packages, planning his return to the UK the following month.